If you hear us feel free to give us a call. 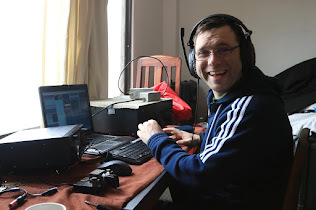 I'll also be bringing a HF rig with me when things get quiet ill be jumping over and hopefully working some of the conditions for the ARRL DX Phone contest also this weekend, I hope to catch some of you throughout the weekend either in the contest or on the HF Bands under my UK Callsign M0XII/P. Good to work with you over the weekend..